Smartlofts develops and constructs community buildings in which residents share spaces. 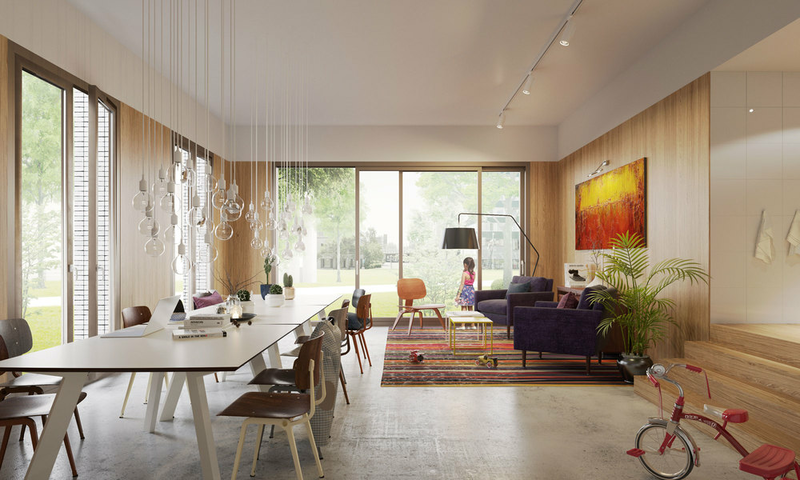 Each Smartlofts building has shared spaces, such as a living/dining room with a large kitchen where residents can work, throw a dinner-party or just have a drink together. Smartlofts also promotes car-sharing, collective solar panels and shared laundry facilities. Residents are involved in the design process from day one and are completely free to design their own apartment the way they want it. Currently, Smartlofts has three developments (in total 100 houses) in Amsterdam, and is eager to find new locations in other cities worldwide.